When Dr Caroline Floccia established Plymouth’s Babylab in 2006, it was the culmination of a long-held ambition. She had for years aspired to create a similar set-up in her native France, but had never been able to turn her vision into a reality. The Babylab was created to conduct research into a range of child development characteristics, and in the first year received 200 visits. Now it regularly hosts 600 visits per year, and has a database of around 4,000 families in Plymouth and the surrounding areas. Those families become involved with studies which predominantly examine their child’s acquisition and understanding of language, and the work has resulted in a range of successful and high profile research initiatives. 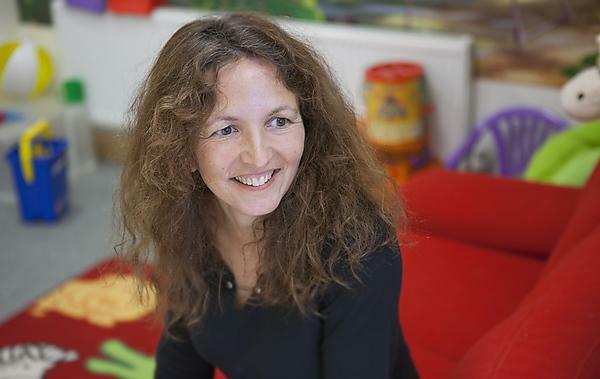 In 2012, Caroline and her team published pioneering research which showed infants were more likely to recognise words spoken in the dialect of their local communities than those used by their parents. And this year, they have won a grant of more than £800,000 which will see the Babylab teams at Plymouth and Oxford working on the first major study of language development among children in bilingual families. The Plymouth Babylab is among a small number based at universities around the UK, but is one of the national pioneers. Its research has also given it – and the University as a whole – international recognition, but Caroline also takes great pride from the centre’s wider achievements. “We have a number of students who work with us as research assistants, and it is incredibly enriching for them to work on our projects,” she said. “They can put the lessons they learn from their degrees straight into practice, getting to work with families and the local community at the same time.